Update on Bring Back Our Girls; Amnesty International Claims Nigeria Had 4-Hour Warning on School Raid – Now who do we believe? There are so many different version and reports about this story it’s heartbreaking. According to Amnesty international Nigeria had 4 hours warning on the school raid. There is so much hearsay I don’t know If this is true or not but one thing is for sure, the whole situation is just odd. I said recently that now the the world is watching, a lot more light will be shed on the situation unlike others where people shout for a bit and move on. At least now, people are talking and countering talks. At the end of the day the most important thing is to bring those girls home safe and stop the killings by these terrorists. Its not just about the missing girls, loads of boys were recently slaughtered where they should have been safe, the bombing, and so much more. You cannot in an attempt to discredit the current government, or in a tussle for power put an entire nation at risk. It all just needs to stop. Read Amnesty story below. Nigerian authorities failed to act on warnings about Boko Haram’s imminent raid on a boarding school where it abducted more than 240 girls last month, according to Amnesty international. The London-based human rights group, after verifying the information with “credible sources,” said Nigerian security forces knew of the attack four hours before Boko Haram struck. “The fact that Nigerian security forces knew about Boko Haram’s impending raid, but failed to take the immediate action needed to stop it, will only amplify the national and international outcry at this horrific crime,” Netsanet Belay, Amnesty International’s Africa director, research and advocacy, said today in a statement. Among the locals who sounded the alarm, civilian patrols set up by the military in a neighboring village triggered a chain of phone calls the evening of April 14 after they noticed unidentified armed men on motorbikes heading toward Chibok, where the schoolgirls were later abducted, according to sources Amnesty International has interviewed. The human rights group says that two senior officials in Nigeria’s armed forces have confirmed the military’s being aware of the planned attack, including one who said an overextended commander was unable to mobilize reinforcements. Nigerian Finance Minister Ngozi Okonjo Ewayala said here today that she was unable to comment on the Amnesty International accusations, explaining, “I’m the minister of finance. I can only tell you the full commitment of this government to fight. And the pledge of the international community as demonstrated by this conference,” referring to the World Economic Forum (WEF) conference in Nigeria this week. The Nigerian Embassy in Washington and the Nigerian U.N. Mission in New York City have not responded to ABC News’ repeated requests for comment. U.S. State Department spokeswoman Jen Psaki, when asked about the Amnesty International allegations at a briefing today, said, “Obviously, given how horrific this tragedy is of the kidnapping of these girls, I think it’s only natural that people are looking back and seeing what could have been done differently. … We’ve been working closely with the Nigerian government for months if not years and assessing their ability to deal with these threats. 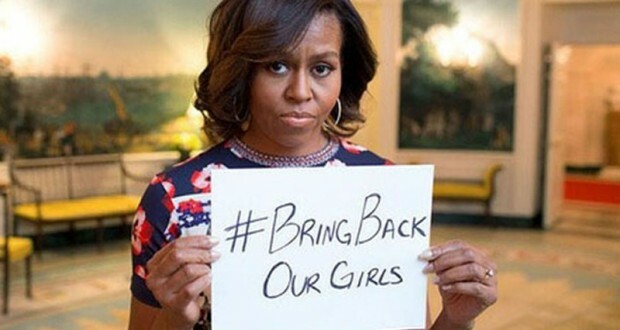 As for U.S. assistance, there are at least 26 U.S. officials specifically tasked to the Boko Haram kidnapping for the moment, authorities say, including 18 military personnel, four State Department officials and three FBI officials, some of whom are in transit. Meanwhile, a peace negotiator used in previous formal negotiations with Boko Haram – the group responsible for kidnapping hundreds of school girls – has proposed a formal negotiation process to the Nigerian government that he hopes will allow for the girls’ safe return. The operation could be convened quickly, with the girls returned, alive, within a week, Shehu Sani told ABC News. The negotiating team should involve a committee of Islamic clerics from the north-eastern region of the country, along with insurgents who are in prison, he said. Sani said he believes Boko Haram will be willing to return the girls in exchange for their members who have been incarcerated. Boko Haram’s threats to “sell” the girls into slavery is a positive signal because, normally, they vow to “kill” their captives, he added. “Hope is not lost, as long as these girls are alive,” he said. The peace negotiator, who has previously traveled to Maiduguri in Borno State, in northeastern Nigeria, for direct talks with Boko Haram leadership in a burned-out mosque, is concerned that international attention is forcing Nigeria’s government to take a hardline but miscalculated approach. Instead of convening a negotiating mission, the Nigerian government has appointed a committee led by military and intelligence chiefs, to whom Boko Haram will be unwilling to talk, Sani said. He cited recent examples of armed raids, attempting to rescue foreign hostages, that have resulted in the death of captives. “The government of Nigeria is pretending to be serious simply because the world is taking an interest,” he said. ABC News’ Ali Weinberg and Luis Martinez contributed to this report. Amnesty international always sounding like a sympathizer for terrorist group all over the World. How come there was no outcry by them?….. They don’t care until it is major news. Amnesty likes to be in front of the news as an organization who is doing something. That is how they get funding by staying relevant. Politics is dirty but those that surround things political are dirtier. * how come there was no outcry by Amnesty International when this terror group killed innocent people? does the country have a PRO that is in charge of what is reported. why are there so many conflicting stories? Is there a possibility that the story of the missing girls is fake?